Completely restored in 2011. Low milage car with some mods. 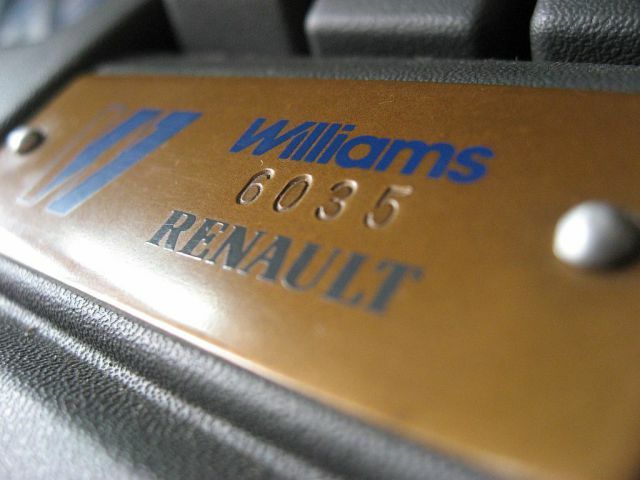 One of the few factory numbered Williams 2. 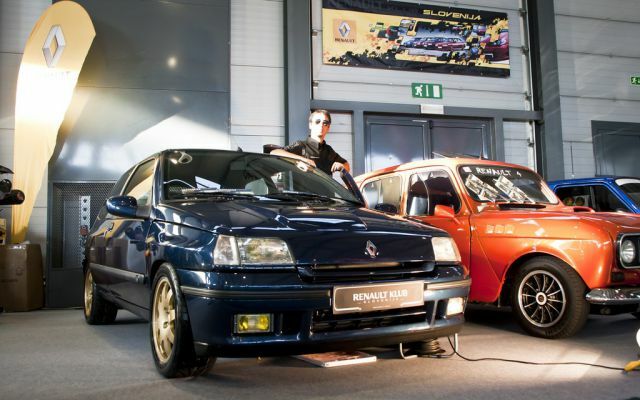 Car was on display at Renault stand at Ljubljana Auto Show 2011 as a part of the Renault heritage collection. - High compression forged bottom end. Ported head with cams and adjustable pulleys. ITBs with custom inlet manifold. Clio Maxi kit car plenum and Gr.A airbox and scuttle induction. Near future plans include Megane Maxi exhaust manifold and Gr.A exhaust for trackdays and current Gr.N exhaust for weekend street use. 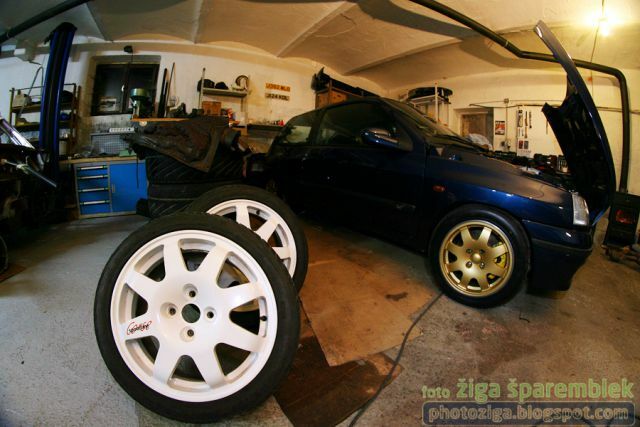 - Brembo 4 pot from Megane R26 and 280mm Clio RS discs on the front. R26 rear calipers on the rear. Near future plans include Gr.A 323mm floating discs on the front and 270mm Maxi discs on the rear. your speedline corse looks just like mine. nice car you have ! Thanks! 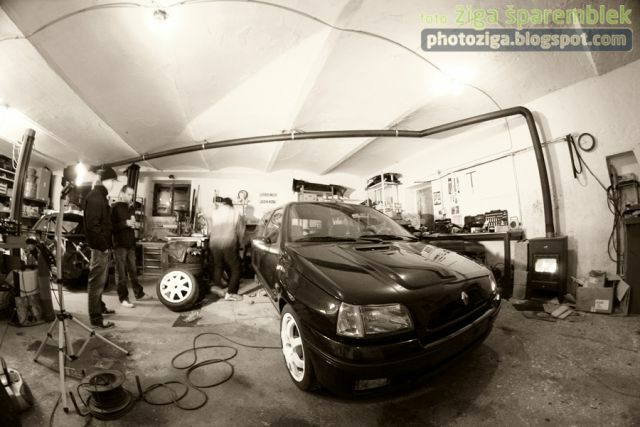 I will change the rims because they have ET 53, I will probably take Compomotive in gold with ET 45. 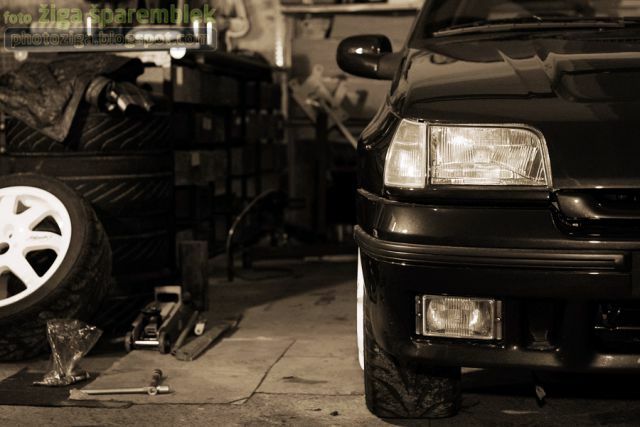 At the moment I have fitted 280mm discs and RS hubs, but with normal calipers. I have to fabricate adaptors to fit Brembos. In case you're still interested I can give you more pics of the current setup which fits nicely under 15'' wheels (both the CUP steelies and Williams rims).